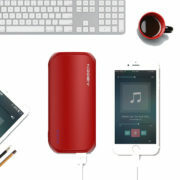 A power bank is something you might want especially when you notice your cell phone battery is running low bit by bit. A useful power bank will be a great helper at this moment. 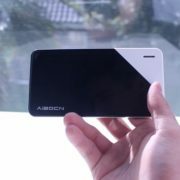 It can get your phone fully charged so that you can enjoy using your phone without worrying power consumption. 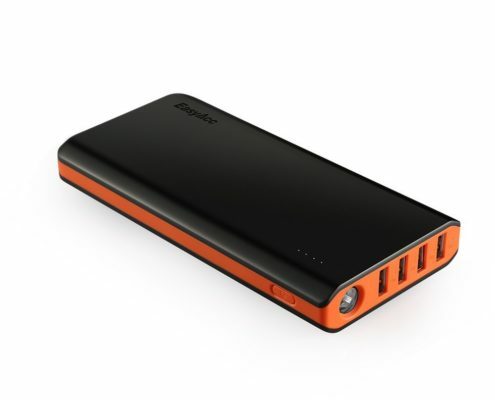 There are, like thousands of portable power bank brands in the world. And power banks can be typically classified by the battery capacity rating. 800mAh, 10000mAh, 12000mAh, 15000mAh, 20000mAh power banks can be seen frequently on Amazon and eBay. People will choose a certain one according to their own need and budget. 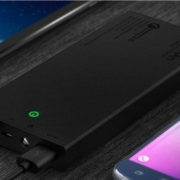 This blog is going to review 5 best 20000mAh high capacity portable power banks on the market, with real reviews from customers. 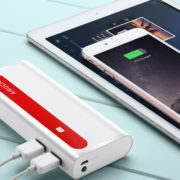 This power bank battery charger for mobile phones & USB devices has a unique Apple lightning input design to differentiate itself from others. 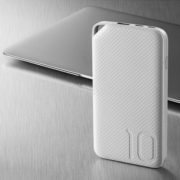 This power bank is made up of first-rate polymer lithium battery cell for stability and long battery life. It gives your devices protection from overcharge, over discharge, short-circuit etc. Many portable power banks have LED indicators, while this one have obviously better ones, smart digital LED display for you to read the charging and ongoing battery level clearly. Mrs. V: Regret not buying this power charger sooner. I’m notorious for having my phone on low battery when I’m out, but now that I have it that would be a thing of the past. Totally in love with it and the love the fact I can charge up 2 devices at ones. Very powerful it doesn’t take more than an hour to get my phone to full charged again. I can get up to 10 hours of charging or more without recharging it. It also works with many USB ports. I use it with all my android devices and like I mentioned before, I should have bought it sooner. Great investment that would save me from many future headaches. 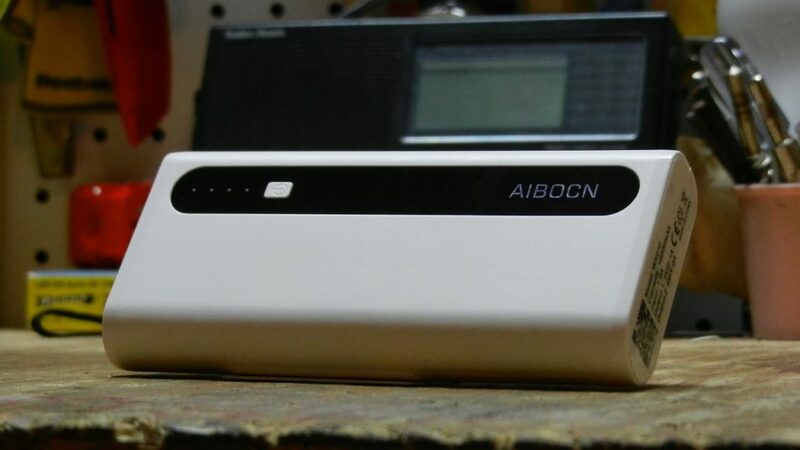 Aibocn 20000mAh power bank has a typically rectangle design. It’s robust, quality and exquisite. You can hold this light and portable power bank in hand comfortably. A lightweight design is great for putting in your pocket or handbag when you go out. This power bank has dual USB port design 2.1A and 1.0A output so that you can charge two devices simultaneously. It can be used as a flashlight as well. Lanna: I got this power bank as a back up for my skiing trips this winter. 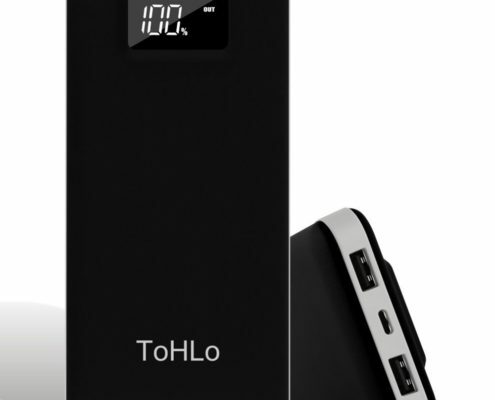 This power bank is perfect for charging my smartphone, tablet, fitbit, and appwatch. It is a bit heavy to carry around all the time, but it is perfect for long trips. It lasts like 6 times on me. Charges my phone as fast as the cable that comes with my phone. I have nothing to complain about this. Great product. This Poweradd Pilot X7 20000mAh external battery pack sells at an affordable price to most people. It’s worth the price because of the actual specs and function it has to offer. 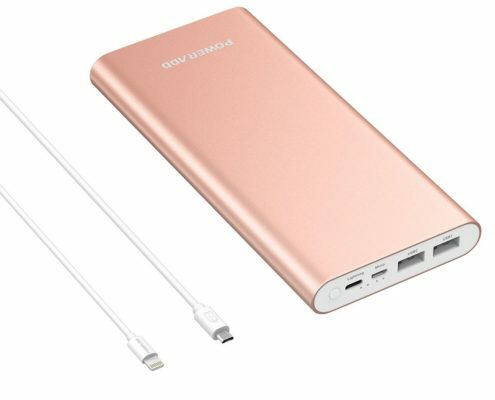 Poweradd has a series of power banks of this sort. It feels sturdy and looks simple in design. It’s useful for charging high drain smartphones, for example, a fully precharged Pilot X7 is able to give an iPhone 8 about eight solid charges. So you don’t how often you will be using your phone. 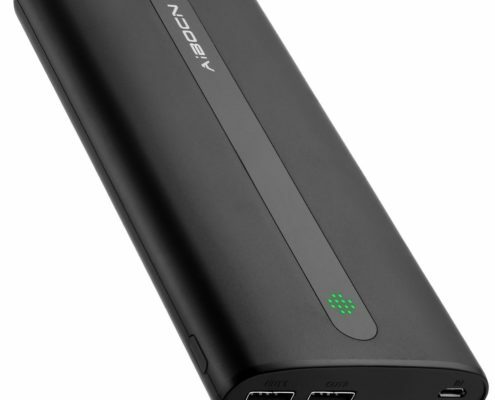 It charges smartphones quickly, with 3.4 amps maximum output current. This power bank has helped me in these days. The huge size of the battery it can storage can charge me iPhone 6S over 5 times one life time. And it is not that heavy which means you can bring it inside your hand bag. And there is one flash light at the buttom. So it can help you out when you are in the dark room. With same capacity 20000mAh, this power bank has 4 USB ports in total, making itself a portable charging station for you to share with friends when you guys can’t find an electrical outlet outdoors. Not only because of the multiple ports, the power it contains inside is enough for a few charges for a couple of USB devices, like your cell phone. Matt Gaston: Love, love, love. I will definitely be getting more of these for all my different packs and vehicles. I’ve currently had the one I originally purchased for almost 2 years and it’s still going strong after all the abuse I’ve put it through. It’s seen several different continents and too many countries to name here. It’s a little big and heavy to carry in a pocket, but in a backpack or your girlfriends purse it’s perfect. The 4 usb outputs are fantastic, and the dual charging input is wonderful for getting a full charge in over night. I’ve used this at several dealer shows over the years and the battery life is wonderful. It holds a charge like no other portable battery pack that I’ve had before. I would definitely recommend this product. 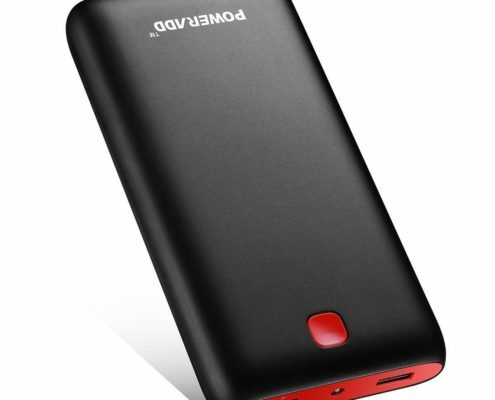 This Poweradd Pilot 4GS Plus power bank is Poweradd’s upgraded version to its previous 4GS. You will be satisfied with what has been upgraded. This power bank can automatically detect your USB devices and give it the fastest charging speed, up to 3A per USB port with impressive total current 5V/3.6A. It comes with a lightning cable as well as a Micro USB cable. So you will think it totally worth the price. The design has been improved with better finished sleek rose gold surface. This battery pack is amazing! Poweradd also has great customer service! There was an issue with the first battery pack that I had and they helped me exchange my faulty one with a working one within a week. This battery pack is slightly larger than my Samsung J7 and a bit on the heavy side, but it works really well! I’ve charged 20% in less than 15 minutes. I’ve also had my phone running while watching videos and this thing was still able to charge my phone a bit.